“Tom Clancy’s Jack Ryan,” the Amazon original starring John Krasinski which launched in August, attracted nearly 40 percent of Prime Video users in the first month after its premiere, according to new data from 7Park Data shared exclusively with TheWrap. According to 7Park, 37 percent of Amazon Video viewers watched the series last month, which is well above the average audience share of 9 percent. A rep for Amazon Prime did not immediately respond to a request for comment. Other Amazon Originals following “Tom Clancy’s Jack Ryan” were “Man in the High Castle” (23 percent), “Hand of God” (22 percent). “Sneaky Pete” (19 percent) and “The Grand Tour” (18 percent), according to 7Park. Part of the reason for the high percentage of viewers tuning in to “Jack Ryan” for its first month had to do with the series premiere, which took place August 31. Because it’s common for users to binge-watch a season as soon as its released, most new series experience a spike in viewership within the first week after their premiere. The same trend can be seen with seasons 1 and 2 of “The Grand Tour” when taking a look at the 7Park graph below. This is the first time 7Park has tracked Amazon data. 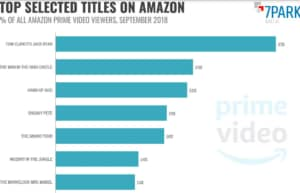 While the company has been tracking viewership metrics of both Hulu and Netflix, today it announced the addition of Amazon Prime Video viewership data to its Streaming Intelligence data product. The new offering includes valuable insights into streaming behavior in more than 50 countries. 7Park Data’s Streaming Intelligence aims to help its clients better understand audience behavior in order to make better decisions about development, licensing, and marketing. Also Read: 'Jack Ryan': Do Terrorists Actually Use Video Games to Communicate and Plan Attacks? “We were eager to use comprehensive, actionable viewership information on the three largest SVOD platforms — Hulu, Netflix and Amazon — and for better answers to ‘black box’ questions that can only come from a representative sample of actual viewing subscribers in the U.S. and around the world,” said Donna Murphy, SVP, Discovery Inc.’s Consumer Insights & Culture Lab. 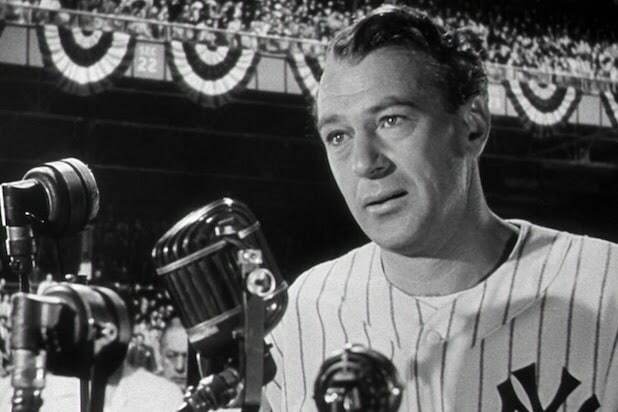 This beautifully dramatized moment of sports history, as wonderfully monologued by Gary Cooper, helped to immortalize the already infamous “Luckiest man” speech by Lou Gehrig. One of the most inspiring underdog stories ever made, the Little 500 bicycle race in Bloomington, Indiana, is a local classic as made famous by this film. In the film’s closing race scene, the locals — dressed in plain white T-shirts with their nickname the “Cutters” — upset the richer college students with more expensive bikes and uniforms, riding across the finish line in pure glory. The best sports documentaries are as riveting as their scripted counterparts, putting viewers right in the action as if they are watching it unfold live. “Senna” is one of the finest examples, using primarily archival footage with no narration and few interviews to show the bitter Formula 1 rivalry between Ayrton Senna and Alain Prost that led to the 1989 and 1990 championships being decided in controversial fashion at Japan’s famed Suzuka Circuit. ESPN’s “30 for 30” series included a look at arguably the most famous championship run in college basketball history. In 1983, Jimmy Valvano led the North Carolina State Wolfpack on a streak of nine consecutive overtime or one-point wins, culminating in a last-second basket to win the championship over top-ranked Houston. In this documentary, even though the outcome is known, every game’s heart-stopping drama is recreated perfectly. The power and hypnotic beauty of this famous running scene from “Creed” as directed by Ryan Coogler is immense. Michael B. Jordan captures the inspiring training run from the original “Rocky” with a modern spirit. You can feel the emotion of the moment so strongly and can’t help but root for him.